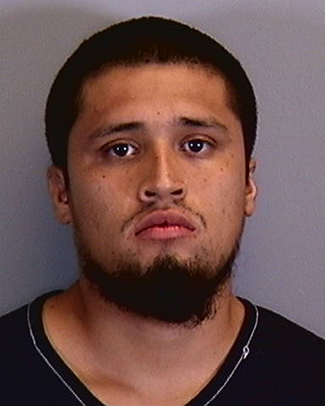 The 22-year-old Floridian was arrested for allegedly pelting his mother with sausages inside the kitchen of their Bradenton residence. The unemployed Callijas-Gasperin became angry when asked to wait, according to a probable cause statement. Callijas-Gasperin “threw the remaining sausages” at his mother, with one sausage striking her in the right eye. He also allegedly pushed the victim backwards and placed his hands around her neck (but did not restrict her breathing). Callijas-Gasperin was arrested earlier this year following a physical confrontation with his stepfather, who found Callijas-Gasperin smoking pot on his front porch. Callijas-Gasperin subsequently pleaded no contest to misdemeanor marijuana possession and resisting police charges.